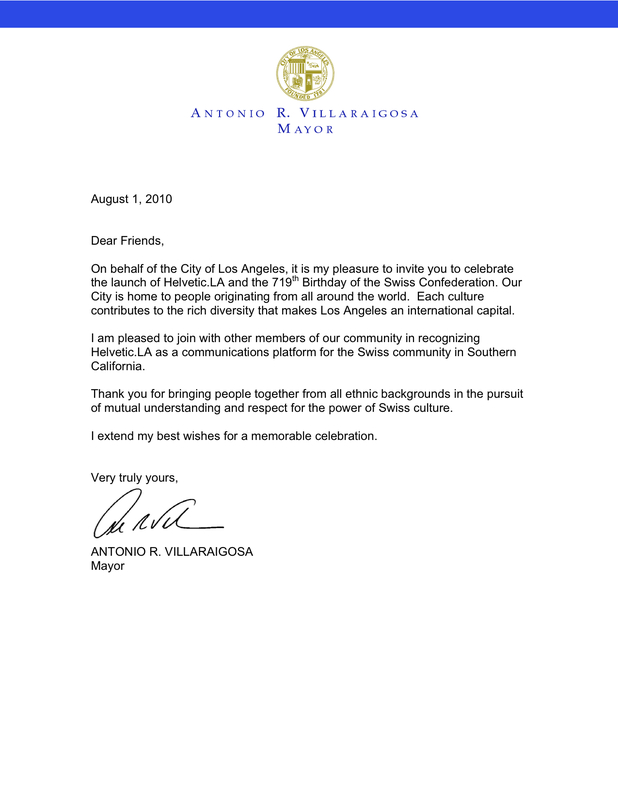 Mayor Antonio Villaraigosa’s message to the Angeleno-Swiss in celebration of the 720th Swiss National Day – Thank You, Mr. Mayor! The approved ordinance now heads to Mayor Antonio Villaraigosa for his signature. If signed, the revised law will go into effect upon publication about a week later. Sprinkler time limits will be based on the type of nozzle used. Spray head sprinklers and bubblers, which are non-conserving models and are common in most landscapes, will be limited to 8 minutes per cycle and one cycle per day per watering station. Rotors and multi-stream rotary heads will be allowed 15 minutes per cycle and up to two cycles per day per watering station. Additionally, watering is only allowed before 9 a.m. and after 4 p.m., even if it’s a household’s watering day. Hand watering with garden hoses is allowed any day of the week within those time restrictions, but only if they are fitted with a shut-off nozzle.